Think of Sydney and you’ll probably conjure up images of the iconic Opera House, the landmark Harbour Bridge and Bondi Beach… possibly along with the beautiful weather and maybe even the famous Sydney Cricket Ground. Sydney is the state capital of New South Wales and the most populous city in Australia and surrounds one of the world's largest natural harbours. The city is regarded as the most multicultural city in Australia and one of the most multicultural cities in the world – which could explain why it is a popular destination for people sending flowers through Direct2florist. The population of Sydney at the time of the 2011 census was 4.39 million and around 1.5 million of these were born overseas. There is an estimated 250 different languages spoken in Sydney and about one-third of residents speak a language other than English at home. Direct2florist has more than two dozen florists covering the city, meaning that when you want to send flowers to Sydney we are a perfect choice. 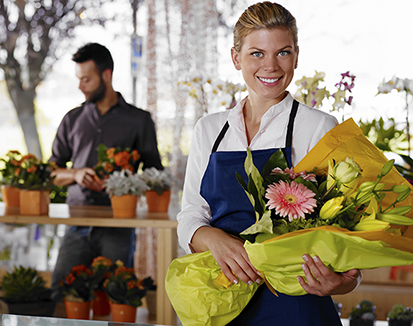 Same day flower delivery in Sydney is no problem for orders placed before 2pm local time. Deliveries can be made across the metropolitan area of the city and, with flexibility to choose the actual florist that delivers your order, sending flowers to Sydney has never been easier. The New South Wales Waratah is the official state flower of New South Wales. A type of Protea, the flower is indigenous to the area around Sydney and Telopea speciosissima, to give it it’s Latin name, has featured prominently in art, architecture, and advertising.